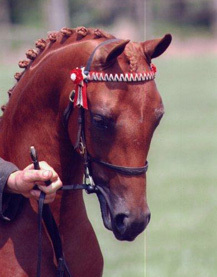 Unfortunately, due to the financial climate,I have now stopped breeding and closed the stud. I would like to take this opportunity in thanking all the wonderful people I have done business with in the past and wish you all the success for the future. Norash Darcey Bussell goes to her new home with Lisa Fry-Lockier and Kenny Jarmen. I wish them loads of luck with her, cant wait to see her out at the shows. I have very high hopes for her, she is stunning. Good luck to all. 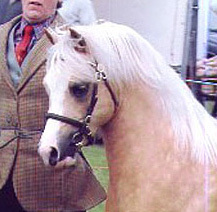 Lacy Monty ended the season with a Bronze, Welsh Pony and Cob Society medal at Natwich and South Cheshire show. What a fantastic end to a really great season- Thank-you team Tibbey. Monty is now at home having a well earned rest. 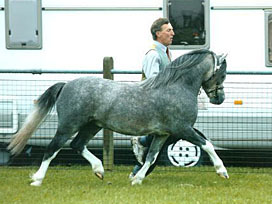 Two new arrivals Idyllic Pascali a 5yr old grey mare - double Pendock Legend, and Sharmoor Mesmorized, a grey yearling filly by Idyllic Entrepreneur out of Maestir Tabitha. 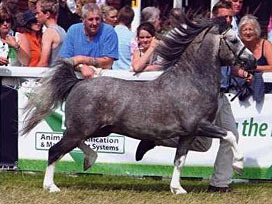 These two ponies can move for England (with their breeding what else would you expect) and I have huge hopes for them,. Watch this space!!! Huge thanks must go to all the friends and producers that have kept me going this year. Thank you Brian Thompson and Yvonne Small for the photos. Good luck to all for next season, which I am sure is going to be hard, given the current climate. 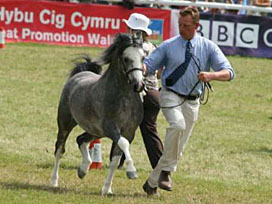 July 2008 Lacy Monty and Adam at the Royal Welsh. 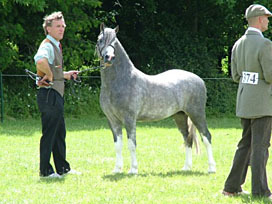 July 2008 Lacy Monty Royal Welsh Section A 3 year old colts. A big thank you to Adam for saving the day. 6th July 2008. Lacy Monty was 1st and Reserve Youngstock Champion at Northleach WP & CS show. 9th June 2008. 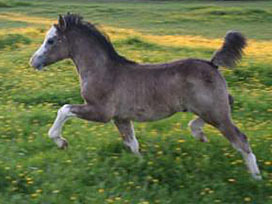 Lacy Monty's colt foal in action. 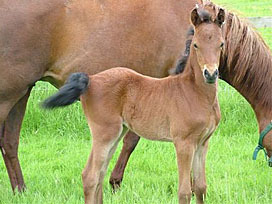 What a stunning foal he is. 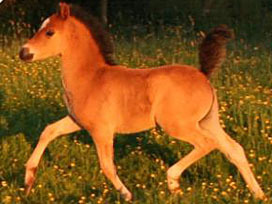 Lacy Monty's filly foal in action. Now 2 weeks old and growing so quickly. 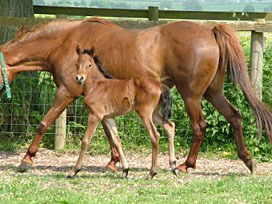 An early photo of Markoak Symphony's new foal and what a little stunner she is. A full sister to Norash Windsor and Norash Midnight, the only difference she's bay.